Patrick Hayburn (left), Cole Randolph and Jonathan Edwards combined for six individual titles Wednesday for St. Mary’s at the MIAA B Conference swimming championships at Calvert Hall College. The Saints won their fifth consecutive team title. When asked to describe her team’s latest MIAA B Conference swimming championship Wednesday, St. Mary’s coach Allyson Reiter had one word. The Saints continued their impressive run, claiming their fifth straight league title at Calvert Hall College. 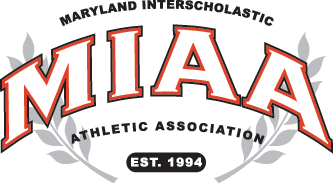 The Annapolis school (319 points) won nine of the 11 events to distance Severn School (234) and St. Vincent Pallotti. Sophomore Patrick Hayburn collected four first-place medals, winning individual titles in the 100-yard butterfly and 200 freestyle. He joined Jonathan Edwards, Patrick Stregle and Connor Drucis on the winning 400 freestyle relay to close out the five-peat. The Saints set the tenor Wednesday with Hayburn, Drucis, Edwards and Cole Randolph claiming 200 medley relay in the opening event. Randolph also won the 50 freestyle and 100 backstroke. Randolph, who will attend the Naval Academy in the fall, said the Saints’ success lies within the relationships. Edwards, a junior transfer from Annapolis, captured top honors in the 100 and 500 freestyle. The Saints won the 200 freestyle relay with Garrett Abbott, Sean Streyle, Grant Hines and Randolph. Saints Peter & Paul’s Tyler Christianson placed first in the 100 breaststroke and 200 medley. It’s the second straight title in both events for the junior who’s committed to Notre Dame. Christianson’s efforts were a brief interruption for another St. Mary’s championship march. It was a perfect end for Saint seniors Randolph, Abbott, Grant Hines, Will Starr, Jacob Hussey and Streyle. NextFrom one dynasty to another?